Super Mario Odyssey Sells 2 Million Copies in 3 Days | Nerd Much? Nintendo is doing pretty, pretty, pretty good. Let’s not bury the lede here. Super Mario Odyssey has already sold two million copies. Super Mario Odyssey released four days ago. 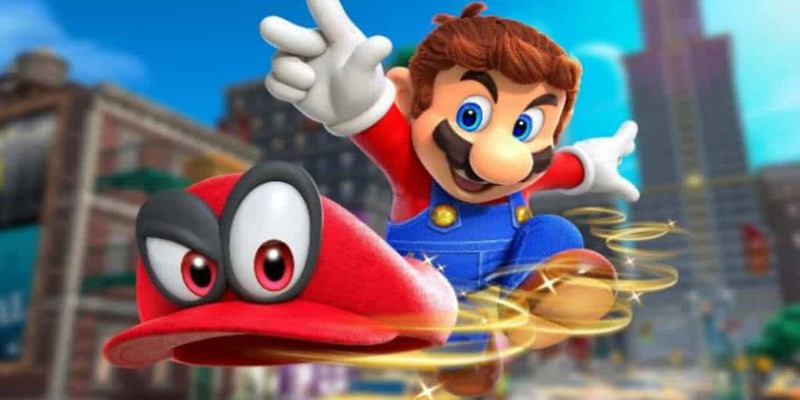 However, Nintendo’s President Tatsumi Kimishima, actually confirmed that Mario hit the two million milestone in just three days. Mario, always the overachiever. That’s an incredible start for Nintendo’s former plumber. And in a year that has been absolutely packed with stellar games, it seems as though we’re staring at a Super Mario Odyssey v. Breath of the Wild showdown for Game of the Year. It’s an amazing year to be a Nintendo fan. There’s plenty of room on the bandwagon folks – hop aboard. You’re all welcome. Mario’s sales came via Kimishima’s earnings report to investors yesterday. Nintendo in general is doing incredibly well. Within the report there are some impressive numbers of note. Super Mario Run has hit 200 million downloads across the globe. The game is free to download, but requires a one-time payment of $9.99 to get past the initial levels. The Super Nintendo Entertainment System: Super NES Classic Edition was, to no one’s surprise, a beast at retail. To date, the mini console has sold over 2 million units worldwide. And we haven’t even hit the Christmas season yet. Finally, Nintendo announced that “7 million units of Nintendo Switch hardware have been delivered into the hands of our consumers around the globe.” The company has adjusted their yearly fiscal projections with the expectation of selling 14 million Switches. More efficient production of the consoles remains the problem. The company stated that they have expanded their production structure to help satiate demand for the Switch. However, due to the lack of Switch availability, Nintendo projects continued value for their already released games. Titles like Breath of the Wild and Mario Kart 8 Deluxe are going to continue to sell because there are still tons of people who haven’t been able to get their hands on a Switch yet. All in all, it has been an impressive six months for Nintendo. Games like Odyssey and Breath of the Wild are getting incredible reviews. The momentum behind the Switch is fantastic. And alongside its current library of games, the future is looking very bright for Nintendo.